Rancher John T. Davis first established Davis Ranch in 1871, but it would be over 30 years before the land was declared the town of Denair. Tucked away in the San Joaquin Valley, this small oasis offered an abundance of fertile land and water, as well as close proximity to the expanding railroad. Originally considered the townsite of Elmwood, it was renamed Denair on April 14, 1907, for John Denair, a Santa Fe railroad man and land developer who had purchased 9,000 acres in the area. Over the next 100 years, the settlement of Denair slowly grew. Businesses came and went. Families and farms appeared and then disappeared like shifting sands, only to be replaced by others years later. 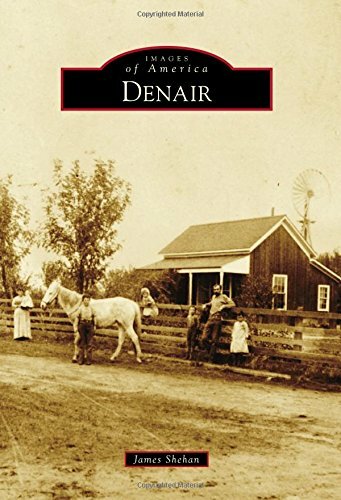 In Denair, nothing ends--it just changes. James Shehan is a professional graphic designer and longtime Denair resident. He has compiled this volume of historical images, generously provided by local residents and organizations of Denair. Many of the images featured in this book have never before been published and provide an intimate glimpse into the many ways Denair has changed, and stayed the same, over the past 100 years.